Patricia Bossano is an award-winning author of philosophical fantasy novels and other supernatural tales. She resides in California with her family. Destiny is difficult to accept, no matter how it presents itself. But when it crashes into Celeste’s life, her entire worldview is shattered. Born and raised in the Realm of Faery, magic and the deep appreciation of beauty have suffused everything she’s ever known. Now, in her eighteenth year, and with her mother having fallen ill, Celeste encounters her fate. The terrible truth of her parents’ betrayal drives her beyond the Realm of Faery and onto the path she was always meant to take. What follows is a harrowing adventure, as Celeste must navigate the traps laid for her by a woman more powerful and treacherous than even the worst faery of legend. 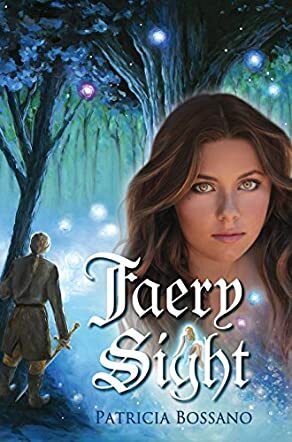 Patricia Bossano’s Faery Sight: Faerie Legacy Series Book 1 is a lush narrative that stirs the imagination in perfectly coordinated waves, leaving her readers desperate for more. Powerful and gripping right from the start, Faery Sight opens with a storm rolling in, perfectly paralleling what’s happening in the human lands. The medieval-style world Bossano depicts is in a state of flux, in mourning after a tragic accident stole the life of their king. But that is merely the tip of the iceberg, for the story and setting are carefully and cunningly set, full of as many twists and turns as a country road. Bossano takes her time to fully immerse readers in her world, unafraid of easing them into the meat of her plot. Nature is particularly important in Faery Sight, as is the strength of women, and each of these elements is woven into a beautiful, complex braid that culminates in a magical first installment.